Those who hoped that the Google team had learned some of the experience accumulated in recent years will surely be disappointed by the many errors found in previous versions of Android and the last known. Because, yes, the new minor version of the Mountain View giant's operating system has, in fact, fulfilled the tradition of making mistakes. And it is that it seems that several owners of Nexus smartphones (5X and 6P) and Pixel have been found with a malfunction of the fingerprint reader, just after installing the update to Android 7.1.2 Nougat. At the moment it is not known if this is an isolated case or an extended problem, but the various information should allow Google developers to face the error and find a solution that pleases all users. According to these users who encountered the bug, the fingerprint sensor still does not work even after they have removed all the updates stored on their phones and performed a complete system reset. So without knowing what conditions have led to this malfunction, and not knowing how Google can solve it, only use your fingers to download the drop-down notifications, back to the year 2014. It seems that Google is already working to correct the problem, and for the moment are the only ones able to solve it. While it is true that many users had no problem, several users in the support forum assure that it is a serious problem. 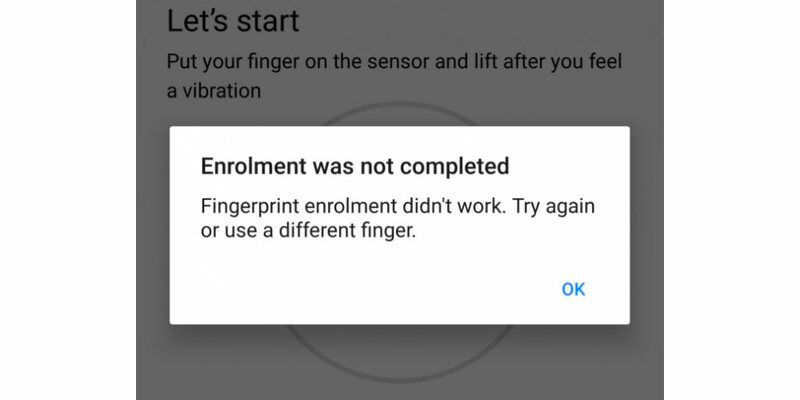 In any case, whether or not you are part of the victims, this is the message that appears when you try to use the fingerprint sensor and it does not work as it should.